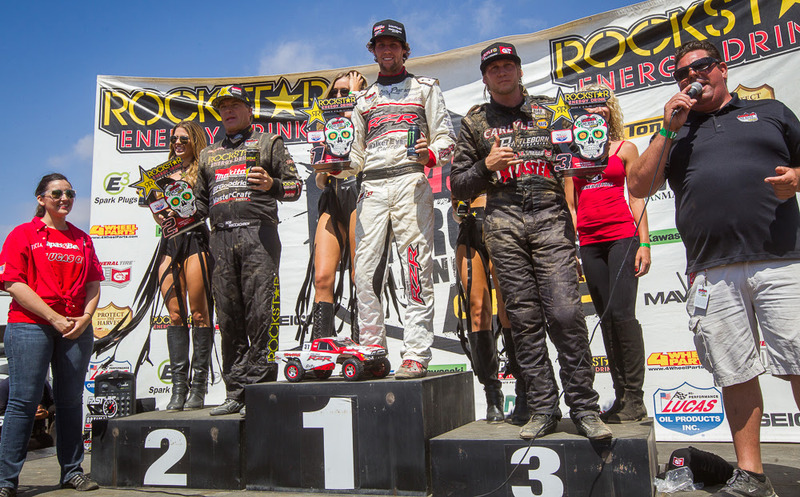 Ensenada, Baja California Mexico – For the first time in Lucas Oil Off Road Racing Series (LOORRS) history, the league headed south of the border to Ensenada, Baja California Mexico for Rounds 11 & 12 of the 2015 race season. 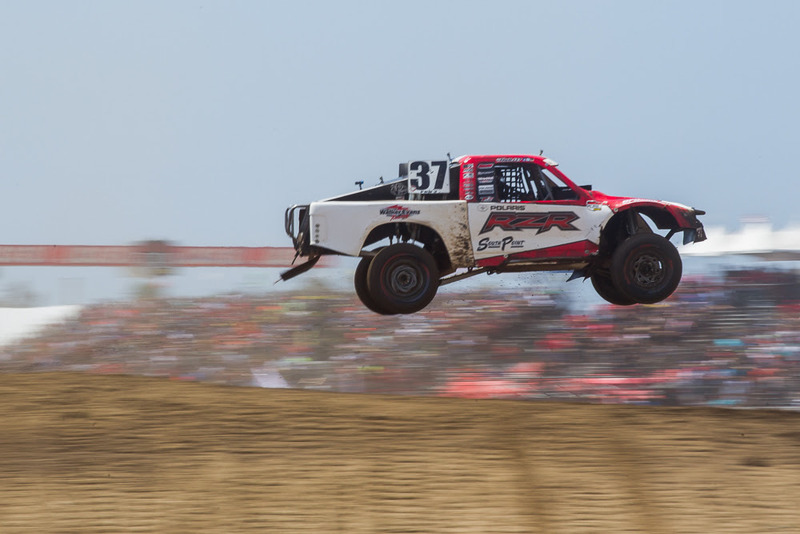 After months of planning by LOORRS officials and the Papas & Beer Racing Team (led by family patriarch Rodrigo Ampudia, Sr.), the dream of taking Lucas Oil Short Course Racing to Baja became a reality. 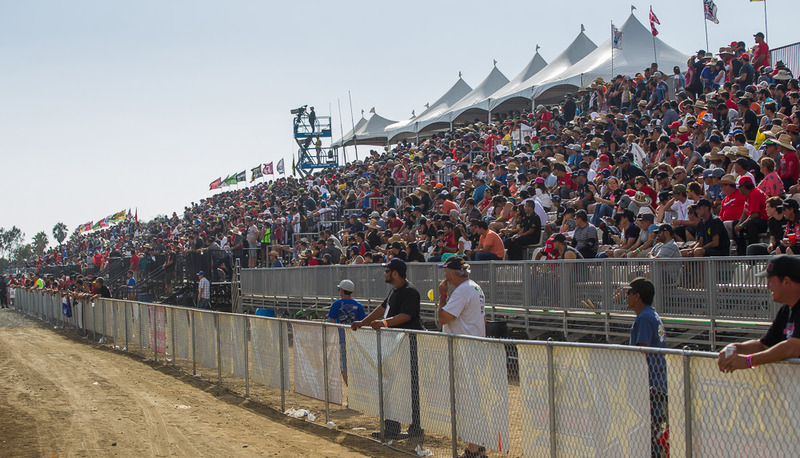 The newly designed Baja International Short Course track, which sits adjacent to the popular Estero Beach Resort, hosted the series biggest names and drew thousands of enthusiastic fans from all over Mexico and the US. Local officials, the Ampudia Family, and Lucas Oil worked tirelessly to develop a facility designed to host races for years to come. It has been over a decade since short course style racing has been hosted in Estero Beach…Lucas Oil brought it back in a big way! RJ Anderson and the RJ37 team began their pilgrimage to Baja on Wednesday to load-in and prepare for the weekends battle. 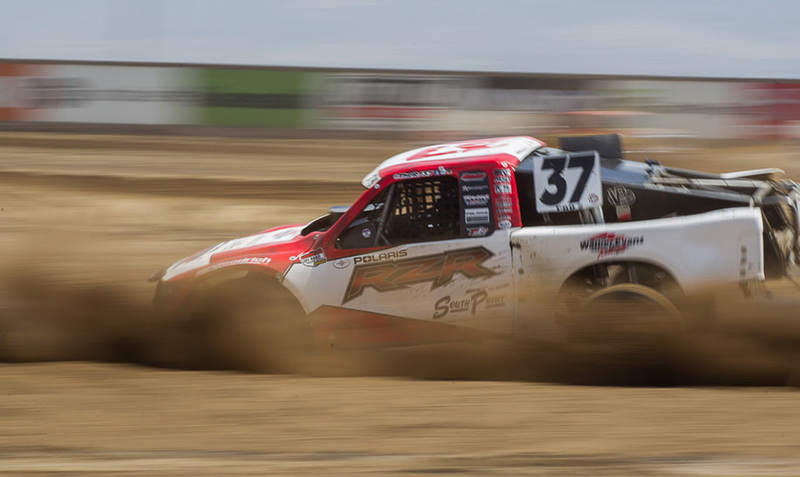 Anderson came into Round 11 sitting a respectable 6th in points in the Pro-2 class. Even though RJ has run up front for much of the year, the season has been filled with highs & lows for the RJ37 team. While RJ has returned to his winning ways in Pro-Lite, Pro-2 has been a struggle, having only reached the podium once so far this season. 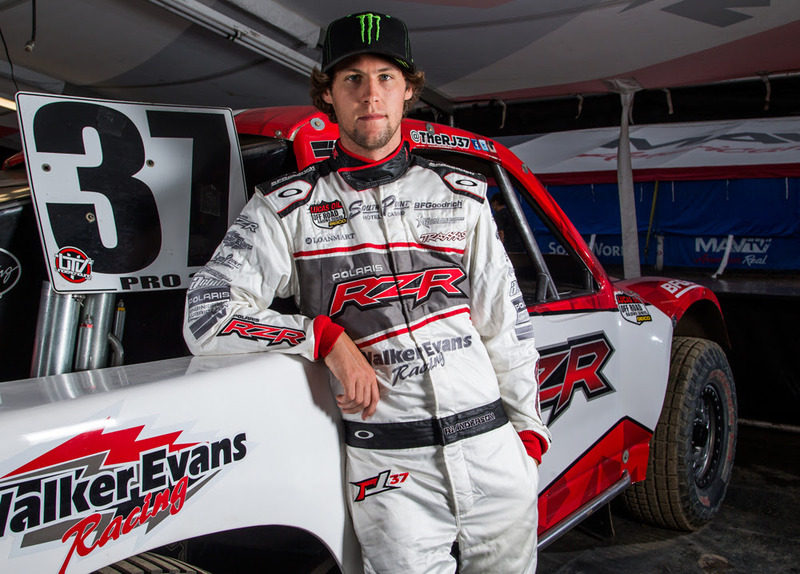 Despite only one podium appearance, Anderson has led multiple races and has showed tremendous speed, consistently qualifying in the top 5 in the #37 Polaris RZR Pro-2. Coming into the weekend – the team hoped for a little bit of luck to help RJ capture his first win of his career in the sports premier class. While Anderson had been struggling to find his groove in Pro-2, he demonstrated once again why he is a champion in the Pro-Lite division. RJ entered the weekend sitting 2nd in points after hoisting four, 1st place trophies (the most in Pro-Lite this season) and making 7 podium appearances through 9 rounds of racing. A poor showing in round three had been his only roadblock to an all out points lead. 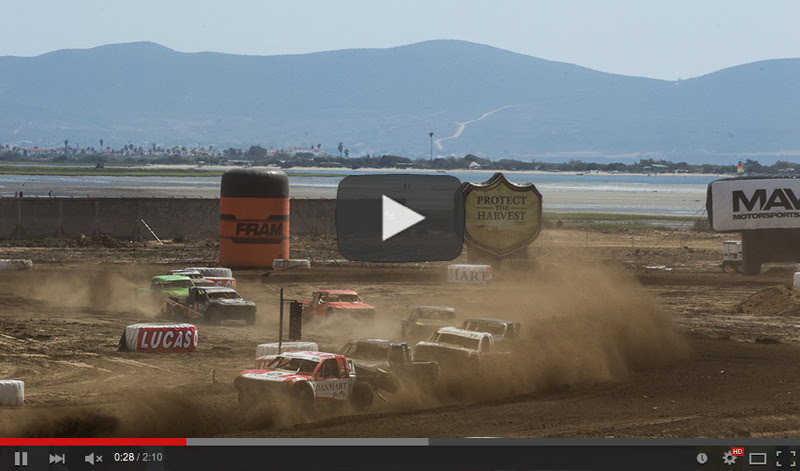 Track conditions were anything but ideal at Estero Beach Baja International Race Track. The sand filled dirt of Estero Beach presented a challenge for track officials to keep prepped between races. 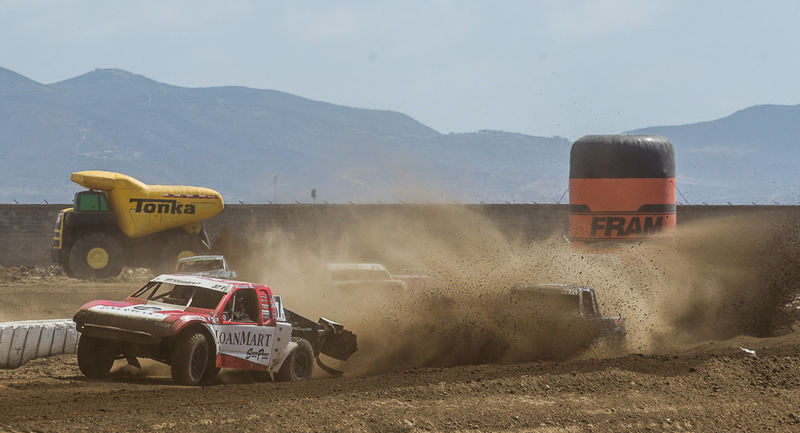 Practice and qualifying in the Pro-Lite class proved the course and its rhythm section to be anything but rhythmetic, as multiple trucks crashed and smashed their way through the heats, testing everyone’s ability to adapt. RJ qualified second fastest on Saturday, laying down his quickest time in only the second lap of qualifying, slowing as the track deteriorated almost instantly. RJ Anderson and top qualifier Sheldon Creed lined up in the second row after the inversion draw, right behind hard chargers Brandon Arthur and young gun Brock Heger who sat on the pole. The green flag dropped and it wouldn’t take long before the rhythm section claimed its first victim. By the end of the race a quarter of the field were out. Two trucks were completely totalled and many more sustained mechanical and physical injuries. RJ maintained his position and finished 3rd in class, giving him his 8th podium this season and nudging him ever so slightly into the points lead just ahead of Jarrett Brooks. The courses rhythm section proved to be less of a concern for the larger suspensions of the Pro-2 class, however the deterioration of the track was much greater. The RJ37 team struggled to find the “hot setup” for Estero Beach and after qualifying ninth in Pro-2, the team went to work on gearing and suspension prior to the afternoons race. When the race started – RJ took his time and fought his way through the rough course and ferocious field of the sports best off-road racers. He finished the race in 5th place and headed into Sunday’s round 12 confident his team had found the setup needed to compete for a win. 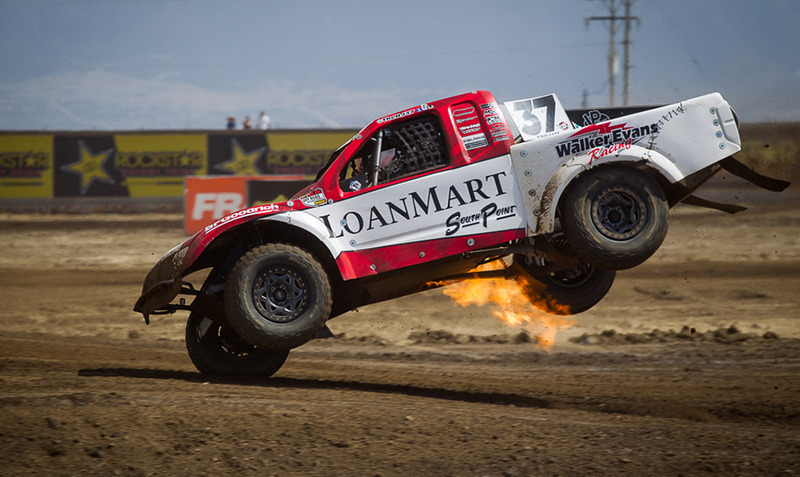 Qualifying in Pro-2 went much better on Sunday for RJ. He laid down the fifth fastest time on track and drew a #6 inversion – which put him on the front row next to racing legend Rob MacCachren. This was exactly the type of lucky break the team had hoped for. As the green flag waived RJ rocketed off the start and pulled ahead of MacCachren in turn two. RJ and Rob battled furiously back and forth for several laps, but eventually RJ pulled away and never looked back. At one point RJ gapped the field by over 8 truck lengths. 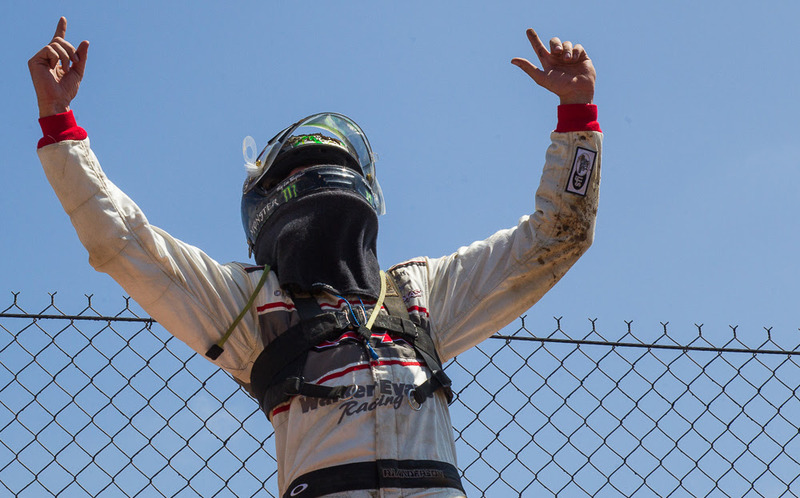 After a late race yellow flag restart – he fought off Pro-2 Champion Bryce Menzies and soared to his first Pro-2 victory to the cheers of thousands in attendance. Lucas Oil graciously gave RJ his moment in the spotlight and allowed him time to appear on the podium before jumping into the #37 Pro-Lite. “A lot of hard work and dedication has gone into achieving my first Pro-2 win. I’ll hang onto this memory for the rest of my life. I am really stoked I got to share the victory with with my family, friends, sponsors and team. Without them none of this would be possible,” said Anderson. RJ qualified second and the inversion kept him on the front row, lined up next to season points rival Jarrett Brooks.With a now “trimmed down” rhythm section, the Pro-Lite’s ran a much quicker and more confident pace. Anderson & Brooks battled hard through the first few laps, and at one point Brooks “doored” RJ to let him know he wasn’t going to give an inch. RJ took and maintained the lead for ten laps, and earned the RJ37 team their second victory of the day, further extending his Pro-Lite points lead. After an evening of celebration, RJ Anderson & the RJ37 race team headed home with two 1st place and one 3rd place trophies, AND the Pro-Lite points lead. More than just a successful weekend of racing – the memory of Anderson’s first Pro-2 win is now etched in motorsports history. It was a weekend of firsts for RJ Anderson & Lucas Oil, it was also a weekend of fun for fans, teams, sponsors and racers. 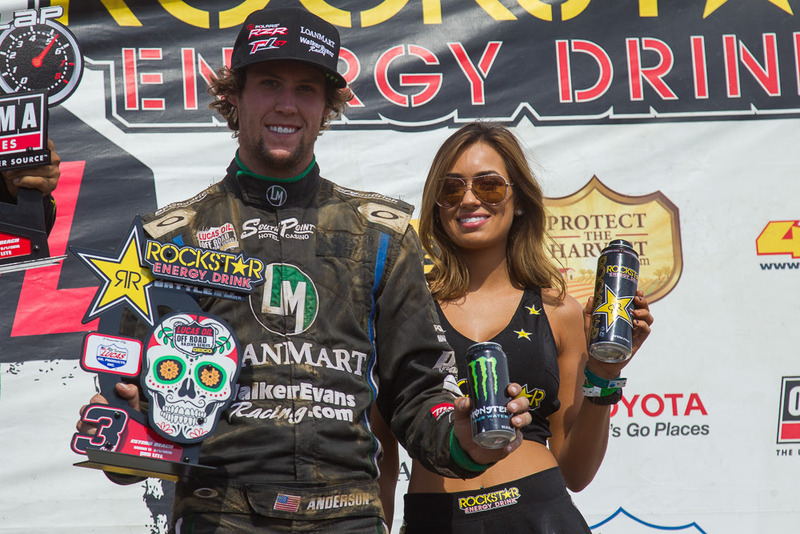 RJ Anderson would like to thank LOORRS, the Ampudia family as well as the local Ensenada officials and the fans for making this weekend of racing so special. RJ would also like to extend a special thank you to the Menzies Motorsports team for their hospitality and accommodations as well as the entire RJ37 race team, family & friends for their continued hard work, effort and support. Lastly, he thanks all of the sponsors and team partners for their tireless support of the RJ37 program. “Without you, none of this would be possible!” – RJ. 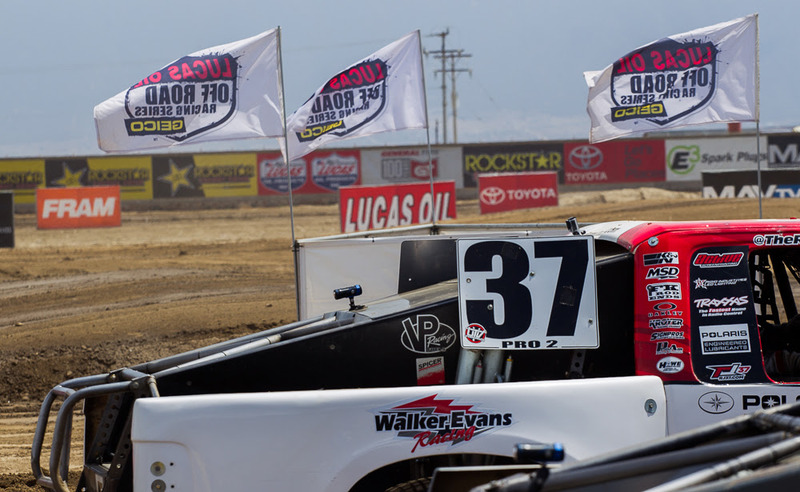 See RJ compete next in Sparks, NV for Rounds 13-14 at Wild West Motorsports Park on August 22 & 23, 2015. The worlds fastest growing all inclusive UTV site contributed to by both enthusiasts and manufacturers alike. UTVUnderground is the go-to site for fresh, original content and is known for its dedication to hosting all of the latest news and insight surrounding the UTV industry. Thousands of monthly visitors from over 100 different countries around the world go to UTVUnderground.com for their daily dose of UTV news and information.